Inmarsat says it is confident the satellite communications data it submitted to Malaysian authorities probing the disappearance of MH370 is accurate assuming that the data was not “spoofed”. “We are very confident that this data is correct assuming that there is no other way this data has been spoofed in any way”, said Inmarsat VP Aviation David Coiley at a recent APEX Technology Committee meeting in California. He stressed that Inmarsat strongly believes that spoofing did not occur. Referenced in this context, a spoofing attack would be defined as a situation in which a person or program sent fake signals to the satellite network. The fact that such a scenario is, in Inmarsat’s mind, the only conceivable way the data could be wrong, speaks volumes about the British satellite operator’s confidence in its data and analysis, and in its final conclusion that MH370 ended in the southern Indian Ocean. 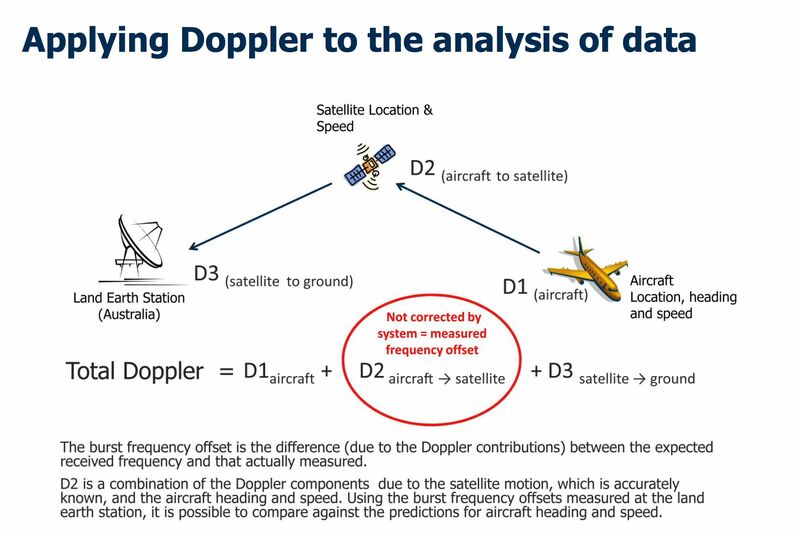 Inmarsat has repeatedly stressed that it refined its analysis in a number of ways, including applying the Doppler effect to help plot the flight’s path. The firm also received input from Malaysia Airlines and Boeing regarding flight speed and fuel burn of the aircraft, and “validated the data” using seven 777s active on its network in the area at the same time, noted Coiley. Even so, the very mention of a spoofing caveat from the Inmarsat executive leaves open the possibility, even if considered incredibly remote. Runway Girl Network believes this is also worth highlighting in light of the fact that everyone from industry stakeholders to armchair experts to regular flyers are pouring over a 47-page document released by Malaysian authorities that contains notes and tables summarizing the data communication logs from the Inmarsat satellite system. The report – which has already drawn criticism for being perceived as incomplete – has been released at a time when pessimism is growing as to whether Inmarsat’s assessment is right. In an exhaustive 8 May piece for The Atlantic, writer Ari N. Schulman made the case for why he believes Inmarsat is wrong. During the aforementioned APEX Technology Committee meeting, I specifically asked Coiley to address Schulman’s claims that searchers might even be looking in the wrong ocean. 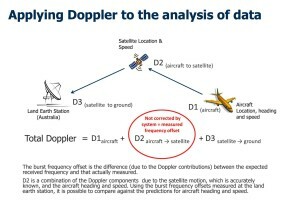 “It’s partly the reason why I did try and emphasize the fact [in my presentation] that the validation of our data [happened] before it even left Inmarsat, while it was still within the immediate Malaysia Airlines investigation team; [plus] the validation against the seven 777s that we used elsewhere on the network, etc, etc – those are all reasons why we did not want to tell anyone outside the company what we suspected until we had run the numbers. “It’s like such a serious implication what we’re saying… The degree of exposure that this has got means that there are so many people [interested]. I’m on the Professional Pilots’ Rumor Network web site; I stopped counting [comments] after I think two days. There was 76 pages of posts at that particular point in time. There is just such an explosion of people looking at this data. “All I can say is we are confident of the data that we have submitted. At the coffee break earlier, I was talking to some of you, and if there is any concern it is the most elaborate situation that probably comes somewhere the far side of Pluto. But we are absolutely confident that the data – and the way the data hits our network – [and] what we have done with that data does lead to the conclusions that we have forwarded to the investigation team. Navigation making use of the key pad and sensitive mouse seems uncomfortable inside Windows 7. If only these people got reduce the traditional computer and their record office manager isn’t very by any means feel adjusted.